Recently, Flourtown Fire Company accepted a $1,000 donation from Wells Fargo Bank as part of its Community Partner program. Above, Director, George Wilmot, Jr. from Flourtown, (third from left) accepts a check from area Wells Fargo representatives. 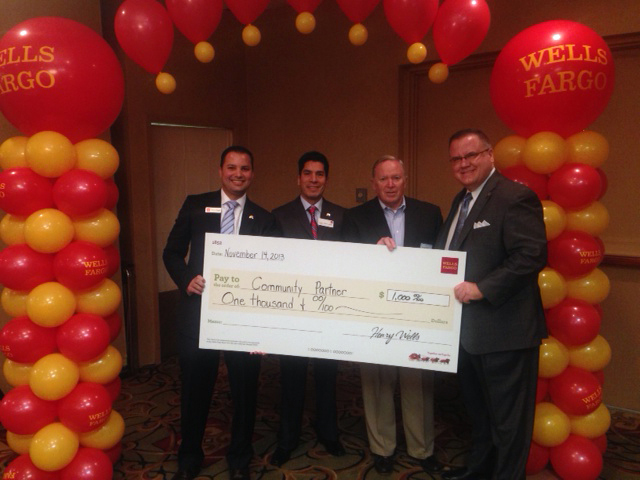 We thank Wells Fargo for its commitment to volunteerism and being a true partner in the community.